Christmas in Cupid Falls - Kindle edition by Holly Jacobs. Literature & Fiction Kindle eBooks @ Amazon.com. Every time I read another Holy Jacobs novel, I recognize that her writing has become more mature and deep. Start with a splendid cast of characters, a more complex plot line, and a deft use of POV. Continue with a gift for storytelling which is honest, true, and sometimes baffling. Everyone loves Kennedy Anderson, mayor, town cheerleader, confidant. After her best friend dies,she and longtime friend Mal turn to one another because they both feel lost. When Kennedy becomes pregnant, she hesitates to tell the father, and the reader wonders why. That is the beauty of this story. Both she and Mal have had their difficulties with lack of family support, and so are hesitant to fall in love. It's hard to predict how Holly Jacobs works out the details, but as time for the baby's birth comes closer,every one takes sides. The townspeople are protective of Kennedy; she is protective of the baby, afraid for life to change, and most of all really wanting to be loved. It's also a reminder that you really shouldn't take lightly the the twists and turns of preparing for a new life into very well-planned existence. Christmas in Cupid Falls is a coup. This really lovely story leaves the reader room for wishing, hoping, praying, and even a little impatience. Not to be missed. 5.0 out of 5 starsWonderfully Magical! 5.0 out of 5 starsDelightful easy reading. The first book I have ever read by Holly Jacobs. Kennedy Anderson is the Mayor of Cupid Falls, PA, plus she also owns a flower shop in town. Kennedy moved to Cupid Falls to live with her Aunt when her parents died. The people of the town like her and want to protect her because she is pregnant and has no husband. Kennedy works hard to bring business to the town and promote it. There is a cast of characters that we all grow to love. Clarence & Joan Harding, May a cranky 71 year old, Nana Vancy, Linc and of course Malcolm Carter the IV, an attorney from the city, but was always the golden boy in Cupid Falls. So sit back and enjoy a very pleasant book. 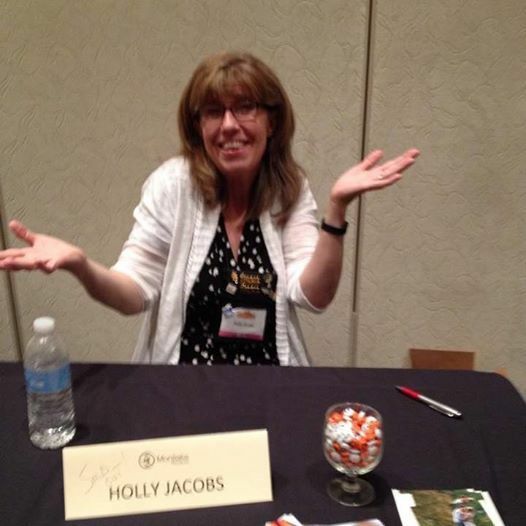 5.0 out of 5 starsA book by Holly Jacobs is always a joy to read. Delightful story about a woman who loves her town and the man who left her for the big city to live up to his father's expectations. When he comes back for a visit, he learns they are expecting a child and is determined to be a father to it. Doing so while living in a different town is the problem. Holly Jacobs entertains while weaving a good tale. I like all her books. Tho I generally prefer mysteries over romance, this delightful story belied the fact. 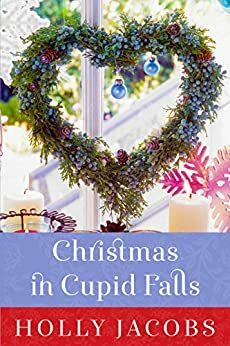 Christmas in Cupid Falls provides excellent character development, an uplifting story line, and some pleasant hours enjoying someone else's life. I'll be watching for more tales from Cupid Falls. 5.0 out of 5 starsWill they get together? This is a very good romance story. She has always lived in cupid fall. Now the mayor and has a flower shop, but due to have a baby soon. Everyone loves her, but doesn't know who the father is. When he comes back to town and finds out what will happen??? I loved how the spirit of Christmas was spread throughout this book such as acts of kindness, forgiveness, the meaning of family and community and positive outlooks on life. A great read for any time of year.